Promote ecological behaviours and corporate CO2 reduction through blockchain. We are creating a traceable and decentralized system where companies offset their emissions through environmental projects and also reward the ecological behaviour of citizens, all based on smart-contract technology on the Ethereum blockchain. Our solution seeks to strengthen the Voluntary Carbon Market (environmental projects for carbon reduction). Companies can offset their CO2 emissions thanks to investment in environmental projects. These investments will be completely traceable, so companies will receive a certificate with the amount of carbon absorbed. Simplify the effort of the company to compute their global carbon footprint. To help improve the corporate green image. 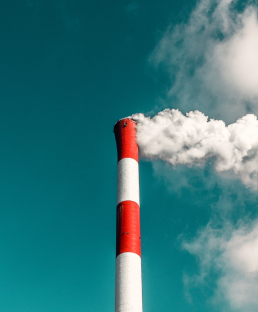 Employees can take action on their corporate-related emissions. Corporations get carbon credits verificable on the blockchain. 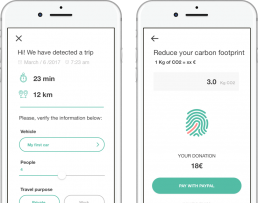 Users earn tokens depending on their ecological behavior, based on TracksCO2 app rules. Users send tokens to Voluntary Carbon Market (VCM) Projects available in the platform. Those VCM Projects can convert back tokens to real money and execute their projects. Share our project to your social networks and win a Trackos coin.